CHICAGO, Jan. 17, 2019 – Baird Capital, the direct private investment arm of Baird, today announced that investment professionals Dan Almon, Nina Essandoh and Amy Len Kobe have joined as Vice Presidents in the firm’s Chicago office. Baird Capital also announced the promotions of Chicago-based Joanna Arras to Principal and London-based Michael Holgate to Director. Almon focuses on private equity investments in the Healthcare sector. 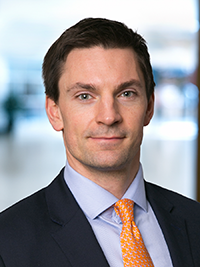 Prior to joining Baird Capital, he was a Senior Investment Associate with Copley Equity Partners where he focused on investing in healthcare and service related companies. Additionally, Almon was a Senior Consultant at The Advisory Board Company (Optum) where he advised hospital executives on healthcare technologies, revenue cycle management, and regulatory compliance. He received a BA from Colorado College. Essandoh focuses on private equity investments in the Industrial Services sector. Prior to joining Baird Capital, Essandoh was a Senior Investment Associate with Black Angel Technology Fund, a consumer tech angel investment fund. She was previously a Senior Associate with RLJ Equity Partners, a middle-market generalist private equity fund, as well as an Investment Analyst with Vantage Capital, a pan-African mezzanine debt fund. 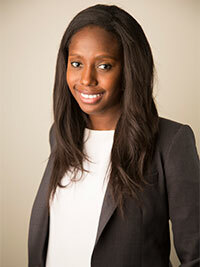 Essandoh began her career in investment banking with Credit Suisse, focusing on mergers and acquisitions, restructurings and equity and debt offerings within the Global Industrials industry. She holds a Bachelor’s degree in Economics from Spelman College and an MBA from Stanford Graduate School of Business. Kobe concentrates on venture investments in the Healthcare sector. Prior to joining Baird Capital, she was a venture investor with Baxter Healthcare focusing on medical device, monitoring and health IT opportunities; and prior to that was a founding member of Healthbox, a digital health accelerator focusing on seed stage venture investments and innovation consulting for payer and provider systems. Kobe was also previously a management consultant with McKinsey & Company and began her career at Genentech. She earned a BS and MS in Chemical Engineering from Stanford University and an MBA from Kellogg School of Management at Northwestern University with majors in Finance and Decision Sciences. In addition to the new hires, Baird Capital also announced the promotion of Joanna Arras to Principal, and Michael Holgate to Director. Arras joined Baird Capital in 2014 and concentrates on Technology & Services investments. 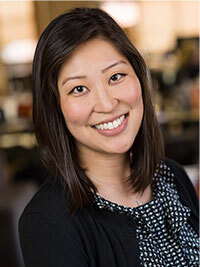 Joanna is currently a board observer of Appcast, Datica, Hireology, Housecall Pro, NowSecure, Sittercity, and Startwire. Prior to joining Baird Capital, Joanna worked as an Equity Research Analyst at Baird, specializing in semiconductor companies. 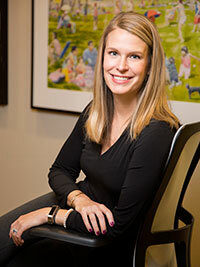 Additionally, Joanna served as an Associate in Baird's Investment Banking and Business Development departments, focusing on strategic investments and initiatives. She earned a BS in Management and International Business from Indiana University and holds an MBA from The University of Pennsylvania's Wharton School with majors in Finance and Entrepreneurship. Holgate joined Baird Capital in 2014 and focuses on sourcing investment opportunities, deal execution and portfolio management in the Technology & Services sectors. Michael has spent time working across Baird Capital’s London and Chicago offices and has played an important role in Baird’s Capital’s investments in bfinance, Hopebridge and Crisp. He has also been actively involved in other Baird Capital portfolio companies including Prescient, Merge, Alpha Source and Vitalyst. 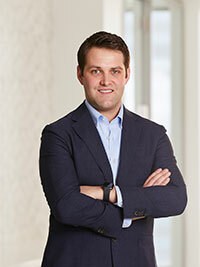 Prior to joining Baird Capital, Michael spent five years working in financial due diligence and corporate finance. Michael is a Chartered Accountant and has a First Class Masters in Chemistry.